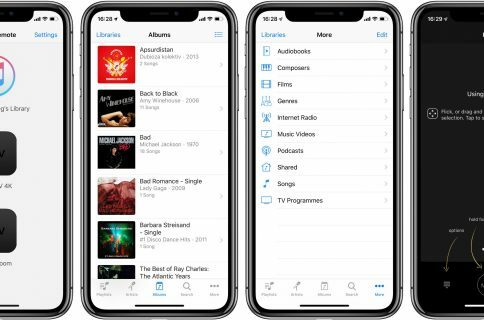 We know that some of our readers who updated to iOS 6, or those of you who upgraded to the iPhone 5, get annoyed when we feature jailbreak tweaks. In for each article about tweaks we get at least one comment along the lines of, “Why are you covering tweaks when there’s no jailbreak!? !” It’s totally understandable, since you can’t take advantage of all the awesome tweaks we’ve showcased. 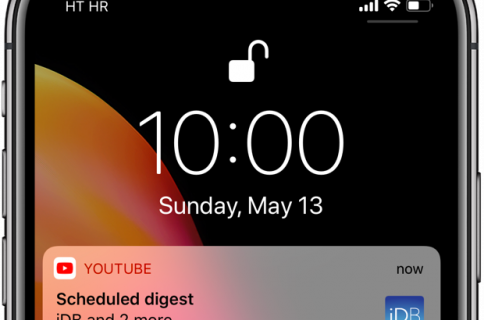 Lucky for you, the clever developers at Renegade Apps have found a way to add functionality to the Lock screen without relying on MobileSubstrate. In fact, most of us who can jailbreak will be left out in the cold. 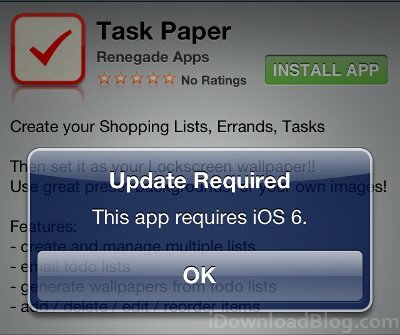 Task Paper is exclusively compatible with iOS 6 and up. Task Paper seems to be a very capable productivity app. In addition to rendering custom wallpapers, it also allows you to create and manage multiple lists as well as send your to-do lists through email. While some of the wallpapers look tacky, especially the ones that mimic paper, you can choose a wallpaper that looks more or less like like a real iOS alert. 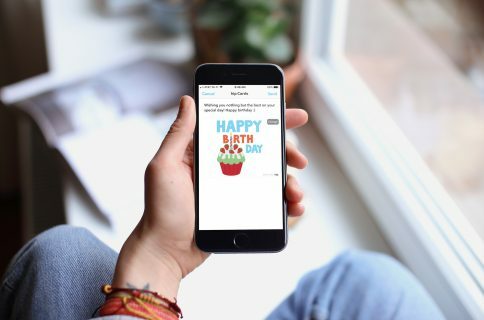 While saving a to-do list as a wallpaper may add another step to your routine, these wallpapers will allow you to set persistent Lock screen reminders in iOS 6, which is something you normally can’t do without a jailbreak. 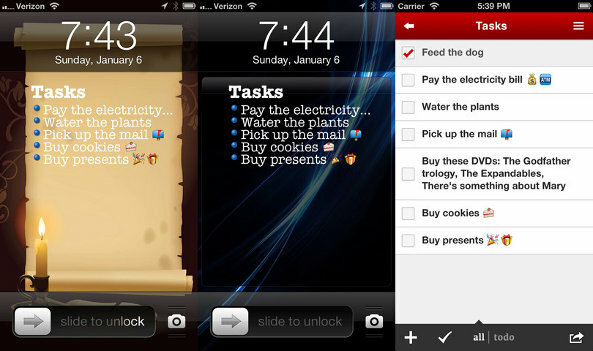 If you’re willing to go a little out of our way for that extra functionality, Task Paper is freely available on iTunes. What’s the cleverest non-jailbreak trick you’ve seen so far? Share your thoughts in the comments below.